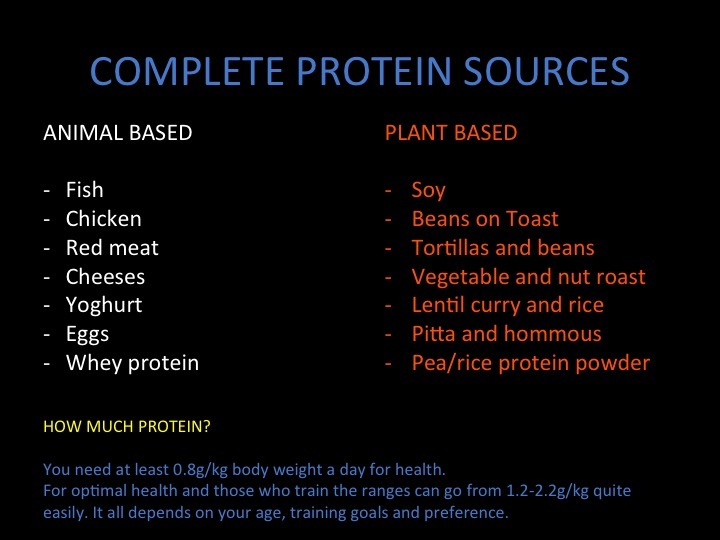 I can’t emphasise enough the importance of eating enough protein in your diet. Protein is essential for optimal health and making sure your eating enough can also help you lose weight and recover faster from training. 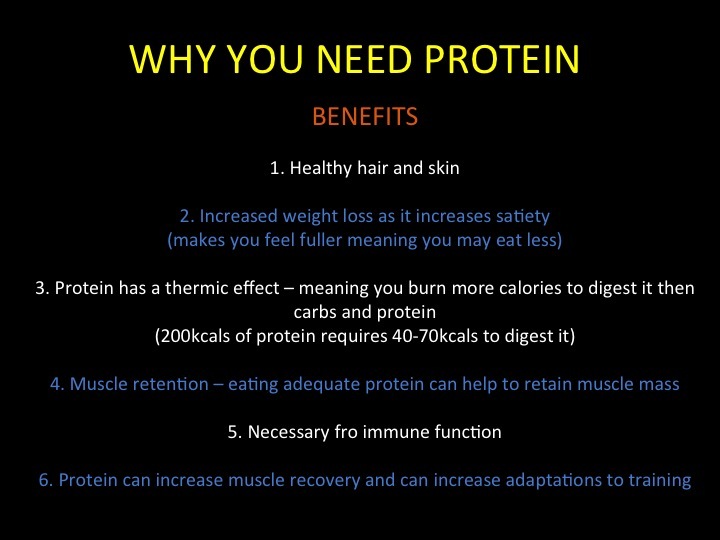 Protein is made up of Amino acids – they have a variety of functions that are essential to us and our health. Protein consists of Essential amino acids and non essential amino acids. The essential ones can only come from the diet as we can’t make them ourselves. Protein sources that have all essential amino acids are called complete proteins.